A defense mechanism when under the gun. And I like just about any plausible pun. I thought nitrous oxide was laughing gas. Of course, don't forget vitreous humor. I love your sense of humor! Thanks, AW. What she said! 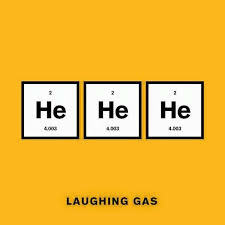 I'll say more when I stop giggling from the laughing gas... someday! BTW, if jnorto heads this way, this is a message to him that I belatedly gave him a detailed response on From the Recesses.